× 2 = two Required Please enter the correct value. 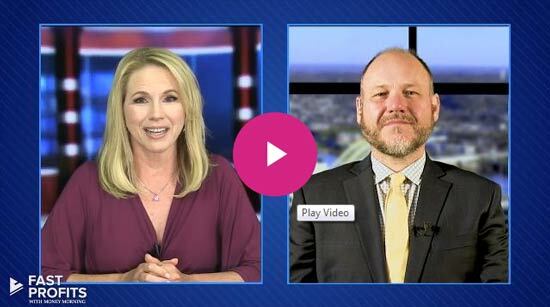 There are more than 15,000 penny stocks on the market, but we're cutting through the noise and bringing you the top three penny stocks to watch in July 2018. You see, penny stocks can be an extremely lucrative investment. In June alone, we found a little-known social network company selling for around $3 that jumped 158% in one week. And that's nothing compared to this education company that increased 267% in a matter of days. In order to identify the most promising penny stocks, we use the Money Morning Stock VQScore™ system to find the best stocks under $5, the Security and Exchange Commission's official definition of a penny stock. In fact, our top pick has the potential to returns gains of over 60% over the next year. Mizuho Financial Group Inc. (NYSE: MFG) is a Japanese banking holding company headquartered in Tokyo, Japan. The second-largest financial services company in Japan, Mizuho controls $1.8 billion in assets, ranking just behind Mitsubishi UFJ Financial Group Inc.
Mizuho's profitability comes from the company's significant diversity. Mizuho divides its financial services among retail banking, global asset management, financial strategy, and corporate investment. 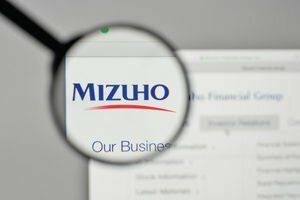 Spreading its business across four distinct financial services, Mizuho's business is well-insulated against the volatility that often rocks financial companies in turbulent markets. It also allows Mizuho to tap profit centers across the spectrum of the financial industry. This diversity is consistently reflected in the company's bottom line. Between 2017 and 2018, Mizuho managed to raise its gross profit by over $57 million while growing earnings by over 2%. Mizuho currently trades for $3.33. However, analysts see the company's stock heading to $4.00 by the end of the year, locking in a gain of 23% for investors. While Mizuho's profit potential is promising, our second penny stock to watch is even better. Turquoise Hill Resources (NYSE: TRQ) is a Canadian mineral exploration and development company headquartered in British Columbia. Focusing on the Pacific Rim region, Turquoise Hill is in the process of developing several large mines, including the Oyu Tolgoi Project in Mongolia – one of the world's largest copper and gold porphyry deposits. For the last four quarters, Turquoise Hill has significantly beat earnings by an average of 225% while heavily investing in the expansion of its mining operations across the globe. This investment has given Turquoise Hill some aggressive production estimates for 2018. According to guidance issued in 2017, Turquoise Hill expects to pull between 125,000 to 155,000 tons of copper and 280,000 tons of gold in 2018. In June, Turquoise Hill recommitted to these figures and stated that it had the potential to outpace initial estimates. Recently, TRQ experienced a drop in market price following the retirement of the company's longtime CEO Jeff Tygesen. However, this slip has created a great buying opportunity for savvy investors. Turquoise Hill currently trades for $2.76. However, with rapid expansion fueling rising profit potential, analysts estimate that the company could hit $4.00 in the near future. This is a gain of 43%. Both Turquoise Hill and Mizuho are great penny stock investments for July. But our top penny stock outpaces both of them. Always looking for great penny stocks! You have caught my interest.